If you have been involved in a trucking accident due to negligence, you may be eligible to receive financial compensation for your injuries! Truck accidents are significantly more likely to result in critical injuries or death, simply because the size, weight, and force of the truck is so much more than a traditional motor vehicle. If you or a loved one were harmed as a result of an accident involving a truck, it is important to seek immediate medical care. This is true even if you don’t believe your injuries to be serious. Sometimes, life-changing injuries can take time to manifest symptoms. Once your condition has been stabilized, the next step you should consider is to contact a seasoned truck accident attorney and discuss the specifics of your case. 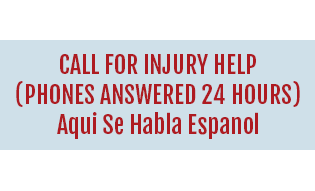 You may be eligible to receive financial compensation for your injuries. All too often, trucking accidents fall under the responsibility of the driver of the truck, or his or her employer. Employer companies can be held accountable for injuries sustained by victims when they negligently hired, trained or supervised the employee in question. Common causes of trucking accidents must be identified in an appropriate trucking accident investigation carried out as soon as possible after the scene of the incident. When it can be found that a truck driver is responsible, either due to drunk driving, drowsy driving, distracted driving, reckless driving, improper maintenance or other negligent behavior, that information can be used to file a lawsuit against the accountable party. Bear in mind that the trucking company and their insurance carrier will likely dispatch an investigation team to the scene of the accident immediately after it happens. If you don’t have the support of a dedicated attorney, you might not realize that you can have your own investigation or accident reconstruction used to determine what happened in the accident directly, and how this information can be used to craft a compelling personal injury claim. A personal injury claim can be filed by any victim who alleges that another person is responsible for the trucking accident or surviving family members who lost their loved one due to complications directly related to the accident. Your personal injury attorney might use the process of accident reconstruction to explain to you and the court how the accident began and the most important factors related to determination of fault. As an accident victim, you can play an important role in this process by collecting evidence from the scene of the accident immediately after it happens. Evidence can come in many different formats following a trucking accident, including videos, photos, damage reports from your vehicle or your insurance company, and statements from eye witnesses. You should expect that the other side will do everything in their power to collect evidence that minimizes or eliminates their liability entirely. Likewise, you should be prepared to put together a comprehensive injury claim of your own, and you must know that a great deal of the burden of proof rests on you to be able to illustrate that the other party is responsible. Bear in mind that the other side will probably present their own evidence trying to deny liability or to downplay the severity of your injuries. As a suffering victim, this can come as a shock, but it’s well worth having a lawyer to help you. Insurance companies working with trucking carriers know many of the most common tactics used to delay your claim or deny liability on their part. The trucking company’s insurance carrier is working as hard as possible to minimize their own liability, which means that they’re not there to represent your best interests and might be simply waiting for you to make a mistake that could put you in a precarious and difficult situation. The support of an injury attorney is instrumental in helping you to recover funds on your behalf and to move on with your injury claim sooner rather than later. You should not make any statements to the insurance company or sign any releases or other documentation with that insurance carrier until you have had an opportunity to speak directly to a lawyer. A lawyer will advise you about what to anticipate and how you can best protect yourself against some of the most common mistakes in trucking accident cases. Remember that any settlement offers presented by the insurance company are not items that you must accept. Rather, you have the opportunity to respond with settlement demands of your own or to talk with your lawyer about how to negotiate a settlement. If it is determined that you cannot negotiate a full and fair settlement that would compensate you for the injuries sustained, your personal injury lawyer should be prepared to go to trial. Trucking accident cases are often overwhelming and extremely difficult for a victim who has already suffered in an accident. However, you must remain calm, organized and prepared to go to court. Your attorney should have extensive litigation experience and should be prepared to explain to you how their background can directly help you resolve the case as effectively as possible. Rarely will an initial settlement offer presented by the other side compensate you for the injuries you have sustained. You must be prepared to consult with a lawyer about these issues at the outset of your injuries and continue to attend all medical appointments. This is in fact the best way to minimize the consequences you could experience in your legal case, and so that you can remain informed, on the part of your attorney, about how the case is proceeding through the court system. Many trucking accident victims will suffer extensive injuries and damages as a result of the accident. It is often impossible for them to back to work or to live their life normally without suffering extensive pain. Because of these serious issues, it is important to find a lawyer who will not give up when fighting hard on your behalf and who will represent your interests to the fullest in your injury claim. 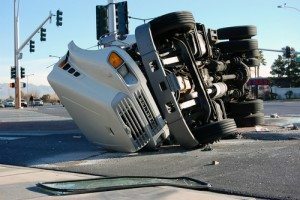 You need to understand that state as well as federal laws will influence the outcome of your Georgia trucking accident case. The support of an attorney is extremely helpful in figuring out which of these laws apply to your case and how they will ultimately affect your ability to move on with your life. If you can show that the driver violated state or federal laws about reckless driving or trucking specifically, this can enhance the power of your lawsuit. Some of the most common regulations violated in these claims have to do with hours of service. The primary purpose of hours of service regulations are to ensure that truck drivers are alert and fresh, to increase their reaction time, cut down on trucking accidents, and minimize fatigue. If a drowsy or speeding truck driver fails to follow the existing hours of service regulations and you can show this, you might be eligible to recover compensation. Drivers are not allowed to drive after 70 hours on duty in 8 consecutive days. They cannot drive after 60 hours on duty in a consecutive 7-day work week, and can only be on duty for a maximum of 14 hours. Drivers are also prohibited from texting and driving while going from state to state, and there are additional drug and alcohol rules in place to protect and prevent against victims of trucking accidents. If you or someone you know has already been seriously hurt in a personal injury accident, you deserve to have the experience and support of a dedicated lawyer to help you. Do you think you need a lawyer after your serious trucking accident? If so, you must be prepared to hire someone who will help you file your case effectively and in a timely fashion. Most personal injury lawyers working with trucking accident victims will have served in this role for a long period of time and will know what it takes to fight back. If you don’t allow yourself the support of an attorney to protect your interests, mistakes could be made that impact your future in a big way. Most personal injury lawyers work on a contingency fee basis. This means you don’t have to worry about paying their fee as they fight your case. Instead, your lawyer will be paid a portion of your final jury award or settlement outside of court. This can give you a lot of peace of mind and space to achieve your goals such as attending doctor’s appointments and getting the help you need. Your lawyer has a strong motivation to close out the case with a settlement or award in your favor, but working on a contingency fee basis allows you the opportunity to stay focused on what is most important, which is your medical care and treatment during this time. During your initial consultation, you can ask questions about how your lawyer usually works and how you’ll be kept informed during the case. 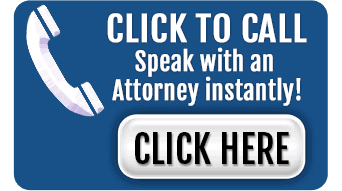 This will give you the best sense of whether or not you want to work with this attorney over the long run. 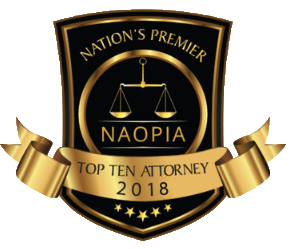 Your lawyer’s commitment to you, overall experience, and depth of knowledge about the subject area can all be telling for determining whether or not you want to move forward with your next steps. Sitting down with a lawyer does not obligate you to work with him or her. You always have a choice of whether you want to file a claim and whether this is the right person to help you, so don’t feel like you have to make a decision immediately. Waiting to make the right call can be well worth it when you have so many things to think about. Driving a large commercial truck is a demanding job, and it’s easy for drivers to make mistakes behind the wheel. Unfortunately, it is those mistakes that can be so costly for others who share the road with commercial truck drivers. Often, there are multiple causes of a truck accident, and multiple individuals or entities may be able to be held accountable for the damages caused by the collision. For example, the driver may be held responsible for speeding, and the company who employs the driver may be held responsible for inadequate training or failure to screen prospective employees properly before hire. Don’t wait to act if you or a loved one have been hurt in a truck accident. 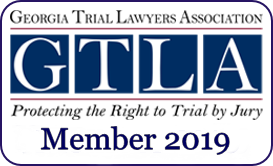 Contact our office today to discuss your unique legal needs with a truck accident lawyer in Alpharetta and how we can best be of assistance to you. Call now at (678) 319-9991. You need someone who will remain at your side from the moment you file. With these important decisions, it counts to have someone you can really trust to file your case for you and to help you through each aspect of the legal system.